• green plastic parts, safe and reliable, upper and lower panels with holes, breathable and strong. • Fixed plate frosted increased coefficient of friction, easy to slide. 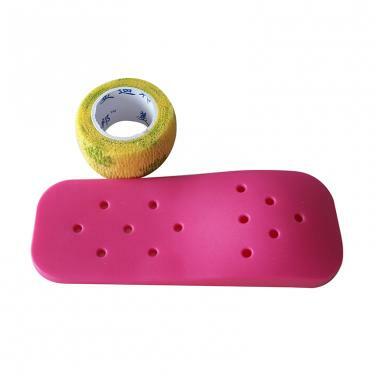 • bandages safe, non-allergic, do not cause allergic reactions on the skin of rubber. • Fixed plate with a bandage combination is the best combination. • Mainly used in pediatric transfusion fixed and constrained their activities difficult to cause puncture drug extravasation, causing swelling and other conditions, is ideal for the prevention of pediatric intravenous infusion leakage.